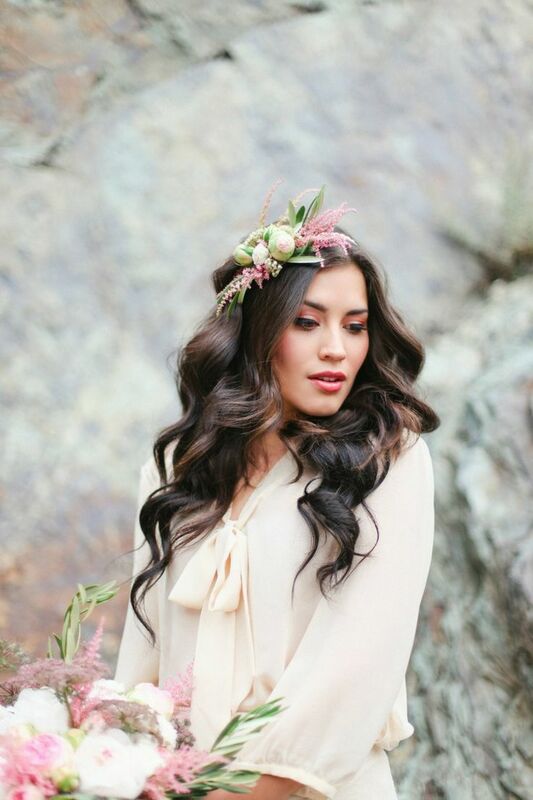 A very important beauty decision a bride has to make for the big day is the bridal hairstyle! My experience in Santorini weddings has taught me one thing in this matter: you have to think it very carefully and always keep in mind the island weather conditions. a. You must feel comfortable with the bridal hairstyle you will choose. Feel that it suits your personal style and that you look GOURGEOUS!! b. 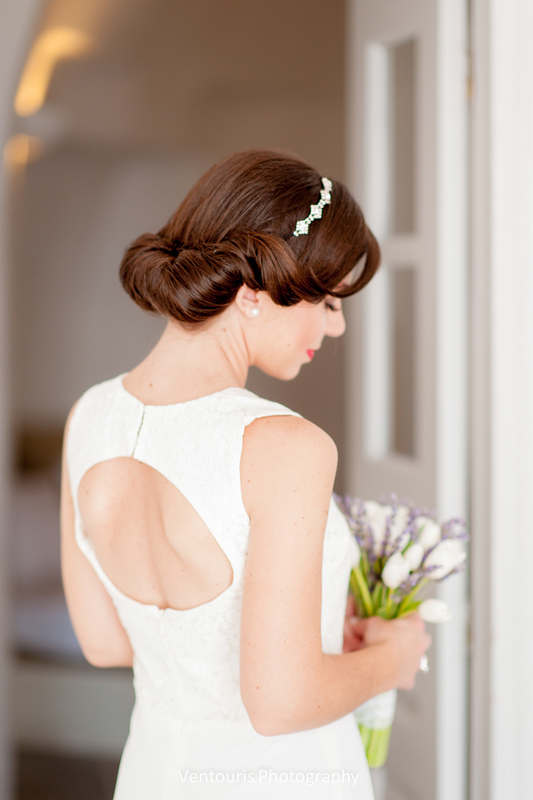 Select a hairstyle that will emphasize the beauty of your dress and will match its style. 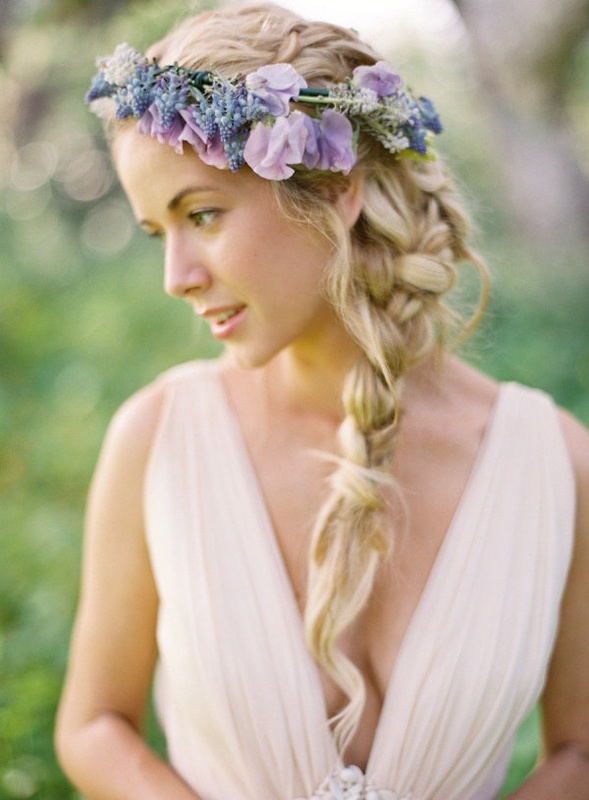 For example a boho wedding dress requires a pretty boho hairstyling, with lose hair and maybe a flower wreath. c. Your wedding style will also need to influence your choice of gown and hair. If you are having a beach wedding in Santorini, you will choose something different than having a glamorous wedding at a more sophisticated venue. d. Have a back up choice. If the weather is very windy, which happens very often in Santorini, skip the bangs and have an updo. This way you will avoid being in all the photos with your hair in front of your face because of the wind. It will be a pity to ruin your stunning Santorini wedding photos with your hair hiding your face!! e. Have a trial for both your first and back up choice with the same hairstylist that will do your hair on the wedding day, even if it is one day prior to wedding. Each hairstylist works differently. The same hairstyle you have rehearsed by another hairstylist back home, might look different executed by another hairstylist. 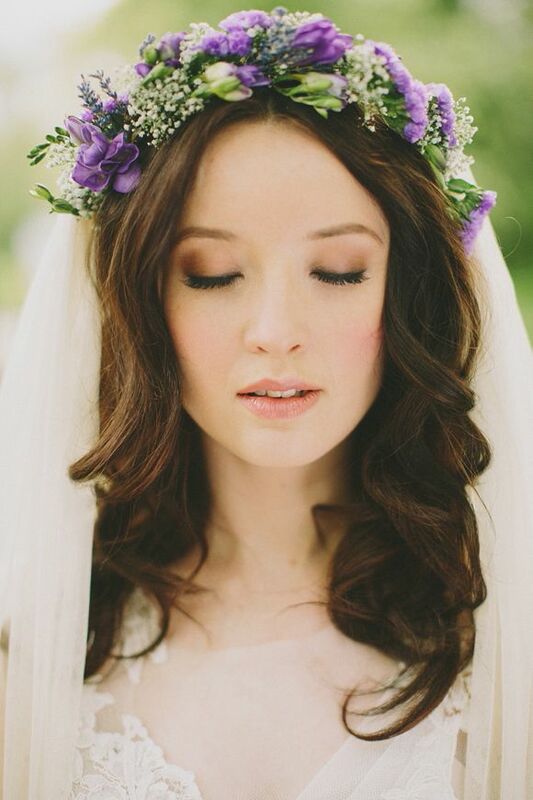 I just love flower crowns, with or without veil!! 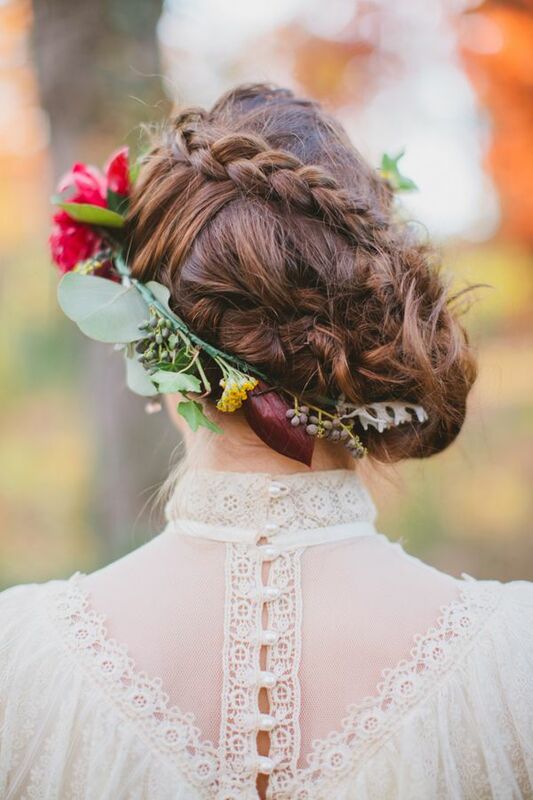 How about a boho chic bridal hairstyling with braids? Hello there, You've performed an excellent job. I'll definitely digg it and personally suggest to my friends. I am sure they'll be benefited from this web site.